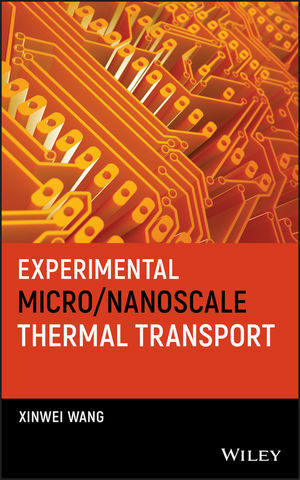 This book covers the new technologies on micro/nanoscale thermal characterization developed in the Micro/Nanoscale Thermal Science Laboratory led by Dr. Xinwei Wang. Five new non-contact and non-destructive technologies are introduced: optical heating and electrical sensing technique, transient electro-thermal technique, transient photo-electro-thermal technique, pulsed laser-assisted thermal relaxation technique, and steady-state electro-Raman-thermal technique. These techniques feature significantly improved ease of implementation, super signal-to-noise ratio, and have the capacity of measuring the thermal conductivity/diffusivity of various one-dimensional structures from dielectric, semiconductive, to metallic materials. XINWEI WANG, PhD, is a Full Professor in the Department of Mechanical Engineering at Iowa State University, where he is also the Director of the Micro/Nanoscale Thermal Science Laboratory. His current research focuses on SPM-based thermal probing and thermal transport in biomaterials.